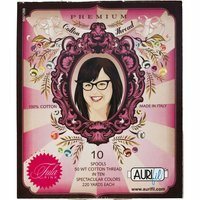 Tula Pink's Moonshine Meadow Thread Collection comes with 10 spools. 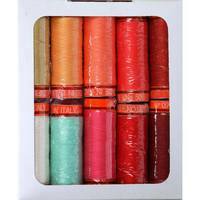 Made of long staple Egyptian cotton this thread has been mercerized to make it more durable. 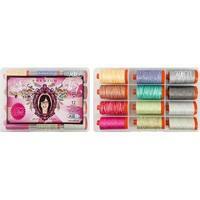 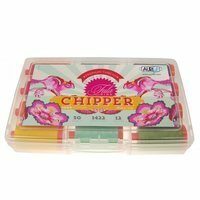 Each spool has 220 yards of 50 weight thread. 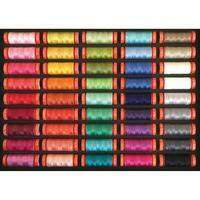 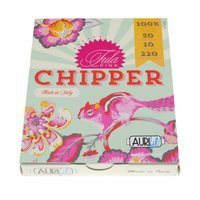 The Aurifil colors include: 2785, 1248, 5006, 2605, 2600, 1148, 4129, 5023, 5016, and 1231.